Clear your diary, get the popcorn in, check you are sitting comfortably - it is almost time for one of the biggest political moments in any year. Like every year, decisions the chancellor makes will have an immediate impact on people's lives and livelihoods. Tweaks to the new system of business rates will soften the impact to some firms who are hit by the steepest rises. An expected top up of a billion or so pounds for the social care system could help alleviate the worst pressure on the service that is struggling in many parts of the country. The announcements already made about money being allocated to technical education could have a significant impact on millions of young people, in the years to come. But decisions that the chancellor does not make - continuing with planned cuts and benefit freezes for example - will also affect millions of people. This Budget is also special because it is the last Spring Budget of its kind, and the chancellor's first. Philip Hammond is moving the main Budget to the autumn. There will no longer be two big fiscal events every year - no more Autumn Statement and spring Budget, just a major autumn Budget. And sources close to the chancellor suggest this Budget is not the place to look for big moves, big changes, or big radical changes. One minister told me: "It won't be a show fest." Another said: "It's a smaller Budget, although smaller Budgets are actually harder." 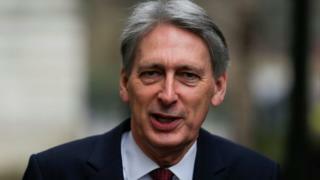 Philip Hammond has no intention of flashing any cash, even though the levels of borrowing are expected to be slightly less scary than predicted at the Autumn Statement. Treasury sources are more optimistic now of being able to do a Brexit trade deal than some months ago. But there is still a view in Number 11 that the journey to the exit could involve economic headaches, so it makes sense not to allocate every potentially available penny - in case money is needed to ease the pain later on.